After 15 years, one of my favorite video game series is coming back. The Langrisser series was a video game series that debuted back in 1991 from game developer Masaya. The series enjoyed a relatively steady fanbase in Japan and some pockets of cult fandom overseas. Over the decade, the series managed to have 5 main games and an un-numbered game on the Dreamcast and the Wonder Swan in 2000 before it all but completely died off. Now, game publisher, extreme, has obtained the rights to all Masaya games and, for its first console title, has decided to revisit the Langrisser series for an all-new game on the 3DS. True to the nature of the series, the new game – currently titled simply, Langrisser – will be a tactical fantasy RPG where players will control units consisting of up to 10 characters around different battle maps. Sadly, one of the staples of the original series, character designer Saoshi Urushihara, will not be involved with the new game, much to the disappointment of many fans. The story of the new games follows the protagonist, Ares, a young member of a vigilante corps who finds to holy sword, Langrisser, and must battle an evil empire to rescue his long lost sister. There have been a couple of other attempts by a different developer at revisiting the series over the years without much success. 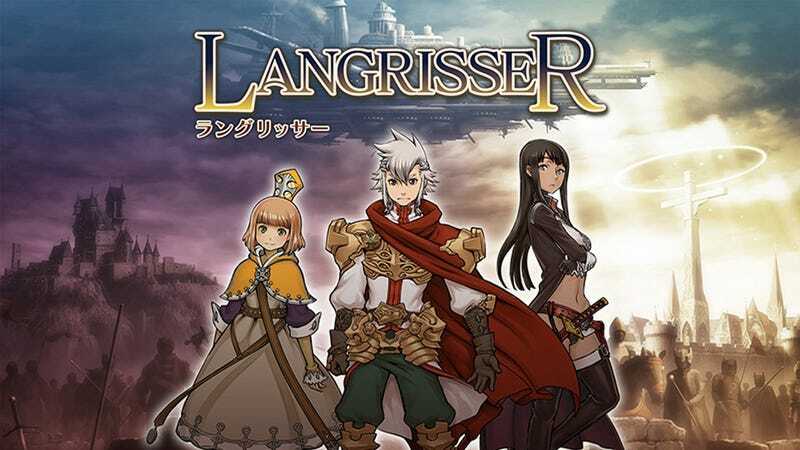 The game Langrisser Schwarz was announced in 2010, but development news went silent in 2012 with no updates since. Langrisser Trisword was an online game that began service in 2012, but ended service the same year. Hopefully the new game will do better. Langrisser is scheduled for release in Japan on the 3DS this summer. No word on an international release.